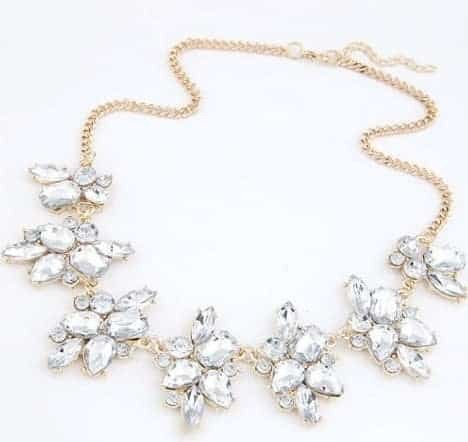 Beautiful and chic statement necklace created with crystal stones. 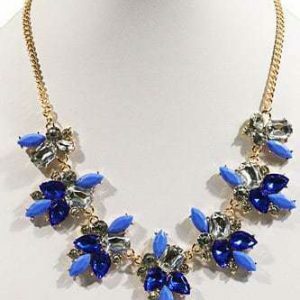 This piece is the perfect addition to your jewelry closet and it can be worn for every special occasion. The black choker is made from a soft velvet fabric attached to a dainty golden chain. It is the all-in-one type of choker that looks very sensual and elegant on the neck. The velvet can softly wrap around your skin and give you the confidence that you need. You can easily style it with most of your outfits. Complete your outfit with this golden Y necklace. This beautiful Y necklace has a beautiful feather pendant and blue beads. You can easily combine your Y necklace with other necklaces. 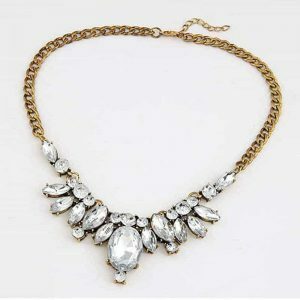 For example with a nice minimalist necklace or with a golden double necklace. Complete your look with other gold jewelry from Aphrodite. For example with feather studs earrings or with a fine bracelet. Do you have questions about the y necklace with feather pendant? please send us a message.